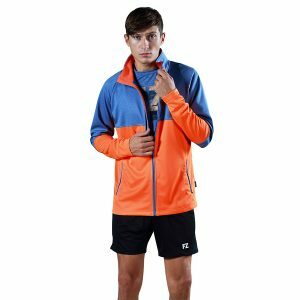 Babur mens jacket. Peacoat chest and top arms with orange below chest and forearms.. Stand up short collar, with full length front zip and zip side pockets on front. 100% Polyester. French rib with cotton touch. LIMITED EDITION – NO Re-orders. Bai mens tee shirt. 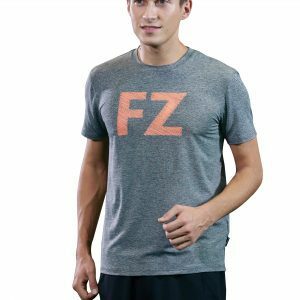 Grey with large FZ logo/lettering on chest. Soft jersey feel and fit. 93% Polyester, 7% Elasthane. 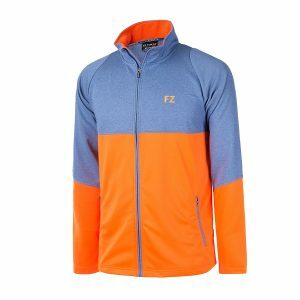 Single jersey w/dry forze. 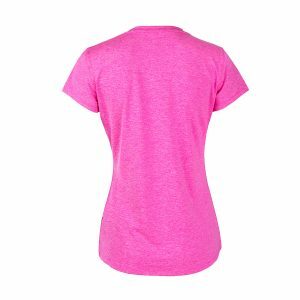 Bea Tee ladies shirt. Pink Glo with large FZ logo/lettering on chest. Soft jersey feel and fit.